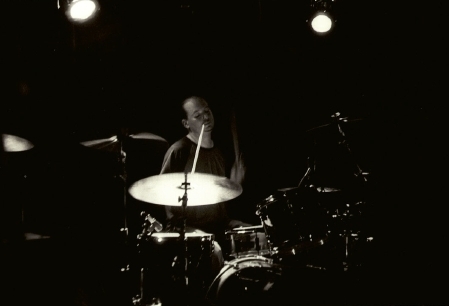 On stage with Mitch Easter at the Delancey in New York City. 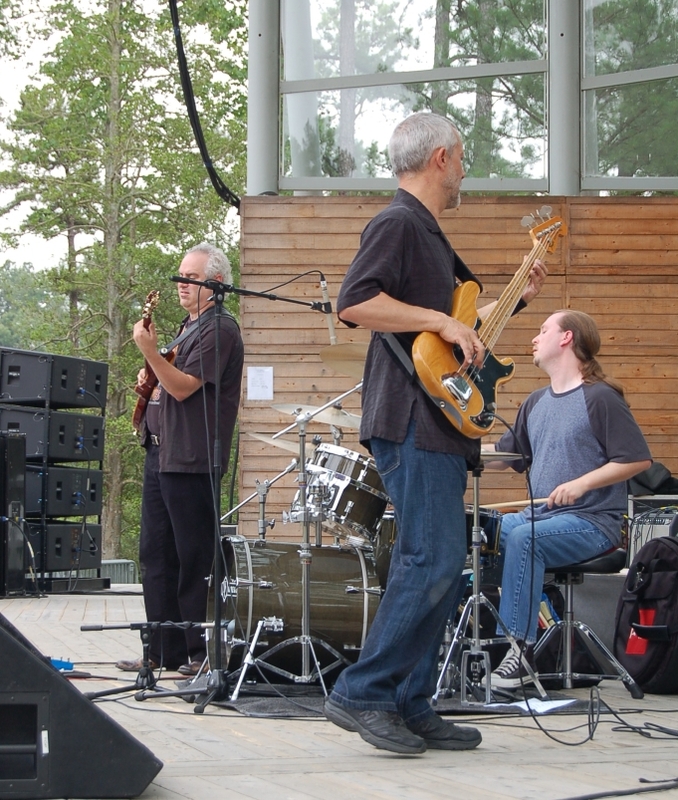 Scott Sawyer, Ron Brendle, and me opening for Koko Taylor and Robert Cray at The Regency Ampitheatre in Cary, NC. 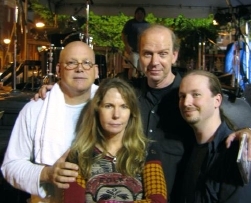 Don Dixon, Marti Jones, John Jennings, and me after a gig at the Fell's Point Oyster Festival in Baltimore, MD. 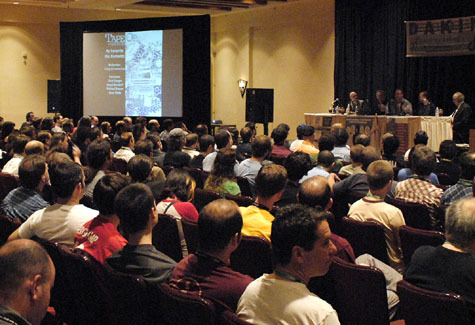 The "My Favorite Mix Moments" panel at TapeOp Con 2006 in Tucson, Arizona, featuring Daryl Neudorf, Michael Brauer, Craig Schumacher, me, and Sean Slade. 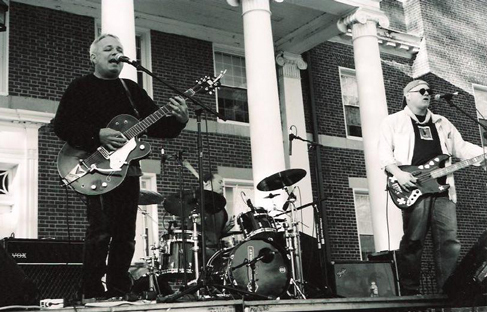 Jamie Hoover (left) and me on stage at a Don Dixon(right) show in Misenheimer, NC. 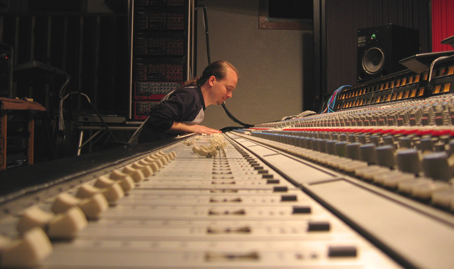 Mixing A Town Called Robot on Fidelitorium's Neve VR console. 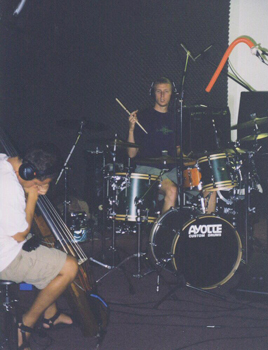 Recording Hansford Rowe and Kai Eckhart bass duets during a Gongzilla session. 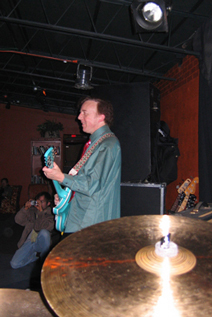 My view of Mitch Easter on stage during a Shalini gig at The Room, Charlotte, NC. Gotta love the limited-edition winter green Rickenbacker! 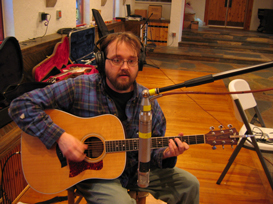 Folk legend Si Kahn at Jay Howard Production Audio, working on one of over 500 previously unrecorded songs he's written. 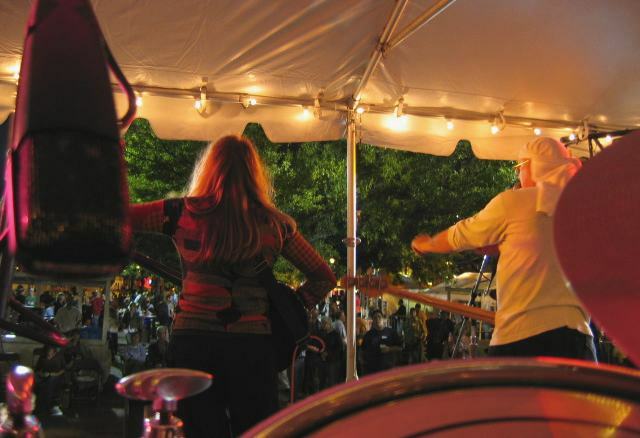 Marti Jones and Don Dixon on stage at the Fell's Point Oyster Festival in Baltimore, Maryland. 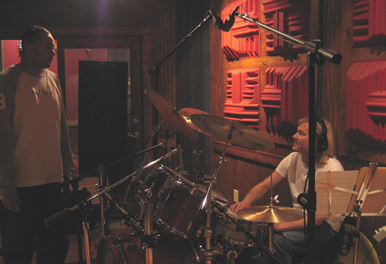 Composer/producer Rodney Shelton with drummer Donnie Marshall on a Julie Sedona session at Old House Studio, Gastonia, NC. 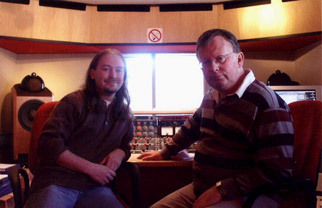 Me and Chris Blair, super-genius, mastering Jason Hausman's Hollow at Abbey Road Suite 5. 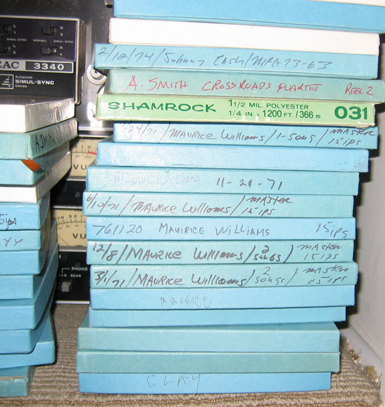 Intriguing tapes at Arthur Smith's project studio. 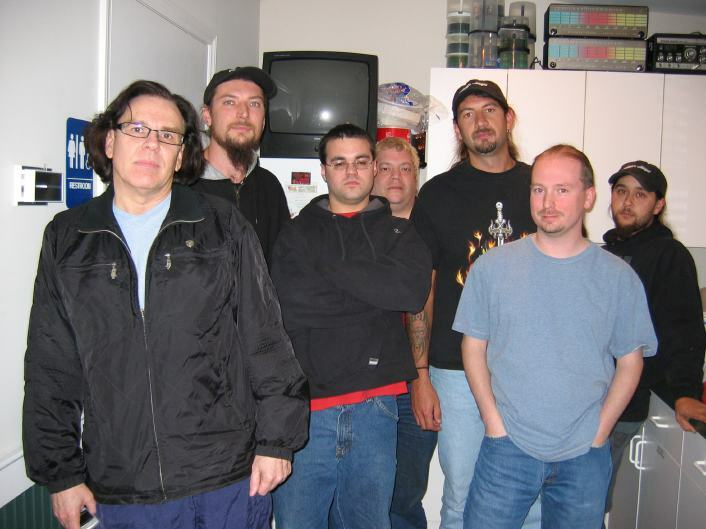 Metal band Joshua's Whisper with producer Mark Berry (left), Greg Jones (Top Shelf Records, center), and me at Old House Studio. 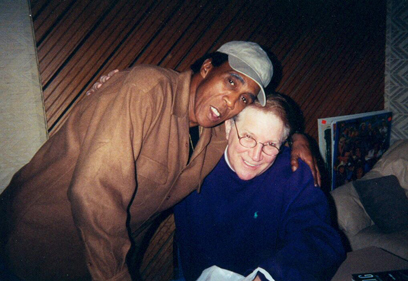 Grammy Award-winning R&B legend General Johnson with Surfside Records' Jerry Goodman during one of MANY, MANY sessions at Studio East, Charlotte, NC. 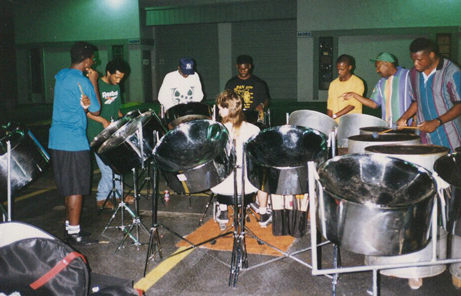 A late-night pan-yard rehearsal for a gig I had with world-reknowned soca/calypso composer and pan legend Len "Boogsie" Sharpe (second from right). 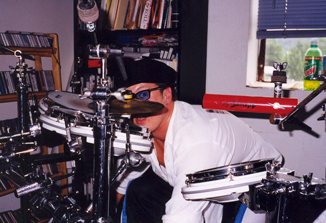 Drummer and Boston session guru Steve Scully playing my drums on an Erica Somer-Dudley session at The Playroom, Charlotte, NC. 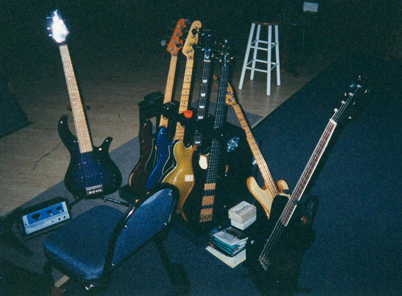 Session ace and bass genius Byron House's traveling collection at Studio East, Charlotte, NC. 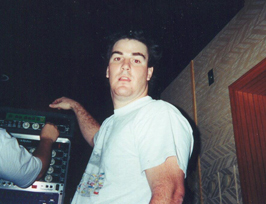 Forrest Giberson and Eric Hastings working on the Jongleurs' 3 at the old Playroom, Charlotte, NC. 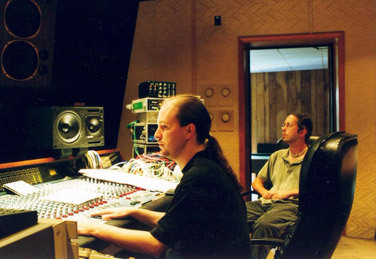 Guitarist Dave Eatmon and me at Studio East's Amek Angela during the mixing of Bellyfull's Rhythm Of Creation CD. 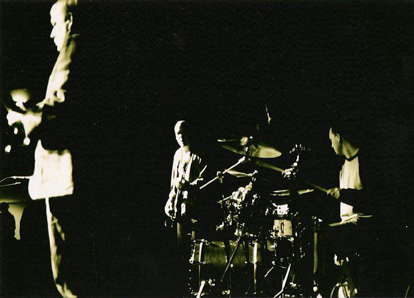 Jamie Hoover, Don Dixon, and me on stage at The Neighborhood Theatre, Charlotte, NC. 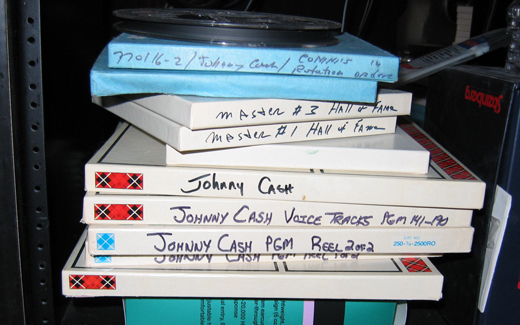 At Hooverama, figuring out the part on "Too Late" during the recording of Jeff O'Kelley's Just Passing Through. 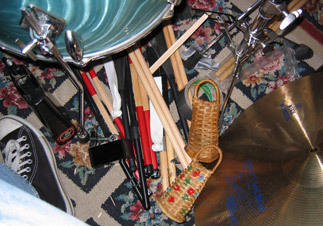 Note the tambourine taped to the floor tom and the 10" snare drum next to it. At Hooverama playing "American Squirm" with Jamie Hoover and Don Dixon for a Nick Lowe tribute album. 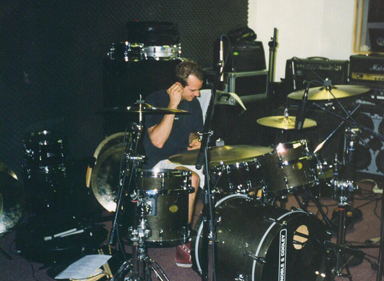 The blue sparkle Ludwigs are Jamie's. 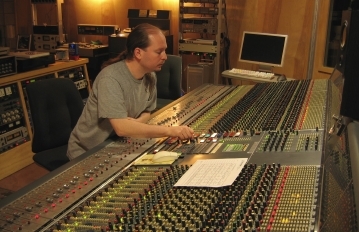 Mixing on Epiphonic Studios' SSL G Series. 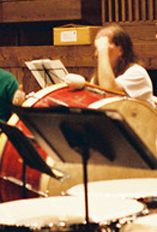 Coaching percussion at a Charlotte Symphony Youth Orchestra rehearsal. 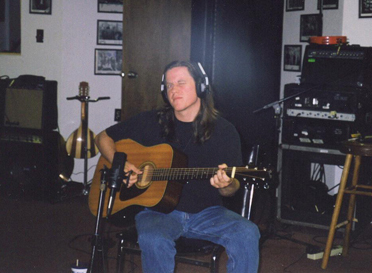 Peter Gray recording guitar overdubs for Jacob Hilbert at Epiphonic Studios. 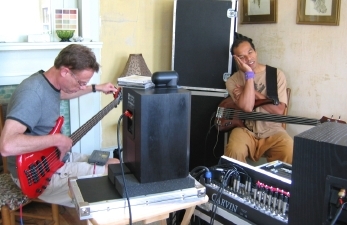 The Traveling Public, rehearsing before a take at Jay Howard Production Audio. 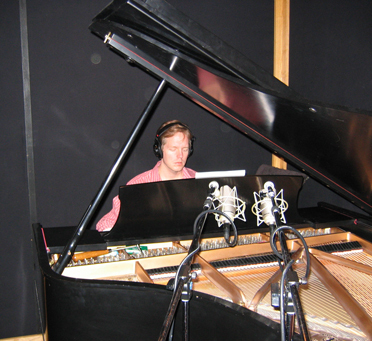 Pianist Chad Lawson during a session at GAT3 Productions. 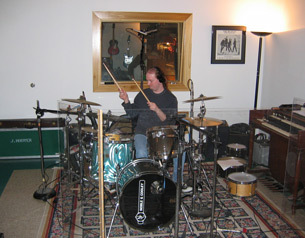 David Bolinger doing drum overdubs on a Big Bang Theory session in the control room at the old Playroom, Charlotte, NC. 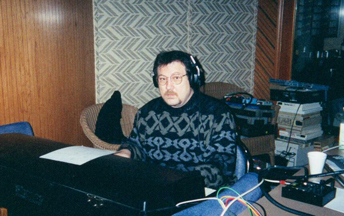 Producer Ed Cash working on a project for singer/songwriter Jamie Morgan at Studio East. 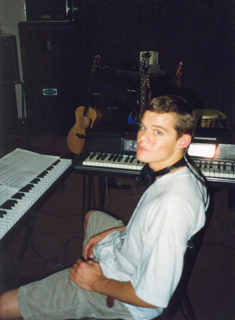 Gabe Dixon on an Erica Somer-Dudley session at the Playroom. 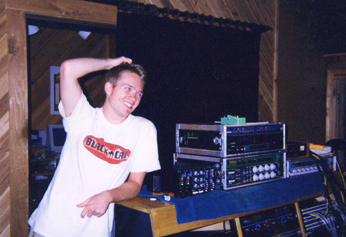 Vocalist, violinist, guitarist, writer, architect, acoustic designer, and general nut Josh Morris during the mixing of Sinclair's Stories Of This Land in Jay Howard Production Audio's Studio A, Charlotte, NC. Keyboard whiz and musical great Mark Stallings, working Fender Rhodes wonders in the control room at Studio East, Charlotte, NC. 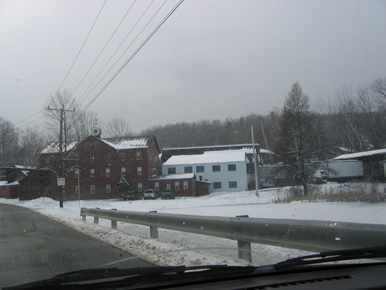 My visit to the Noble & Cooley drum factory in Granville, MA. 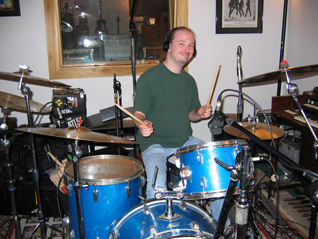 Andy Seets gives a wink during a Big Bang Theory session at The Playroom, Charlotte, NC. 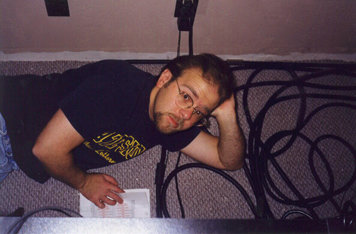 Tech wiz Rob Preston of RFI Audio doing patchbay refurb at The Playroom, Charlotte, NC. 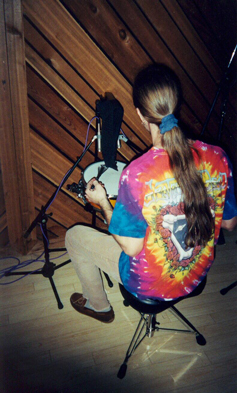 Scott Wagstaff doing brush overdubs on a Tesser session at Studio East, Charlotte, NC. 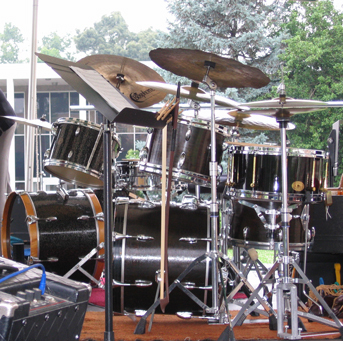 "Gretsch Day in Asheville," or Byron Hedgepeth's and my double-drum setup for a Petri Dish gig. 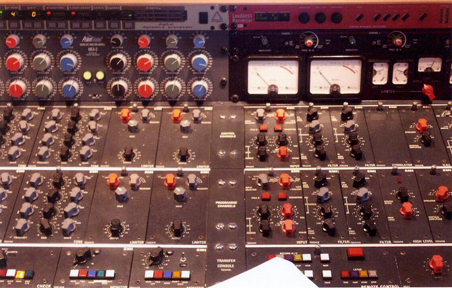 The custom EMI TG console at use in Mastering Suite 5 of Abbey Road. 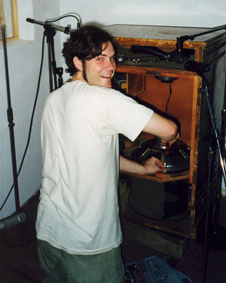 Walt Austin, performing necessary Leslie cabinet surgery on a session at The Playroom, Charlotte, NC. 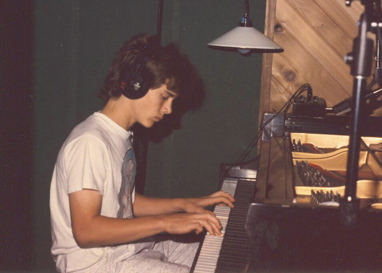 A VERY young Justin Faircloth (pre-driver's license) playing piano on a Relayer session at Jay Howard Production Audio, circa 1989. 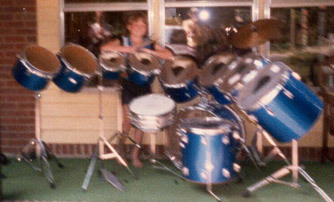 My first day with my own set of drums.